Diva Devotee: SWV Sample Zelda's "Fairy Theme" on Title track "I Missed Us"
SWV Sample Zelda's "Fairy Theme" on Title track "I Missed Us"
I am in shock! Listening to SWV's new album, I Missed Us, in anticipation of possibly reviewing it, out of nowhere I hear the Fairy's Theme from Nintendo's classic Legend Of Zelda game series start playing! But where was it coming ? Was it a flash advert on an open webpage playing, a custom ringtone I had forgotten I had set on my phone, or was I actually having a visitation from one of the Great Fairy's of the series who finally was going to grant my wish to restore Christina Aguilera and Mariah Carey's voices back to their prime! 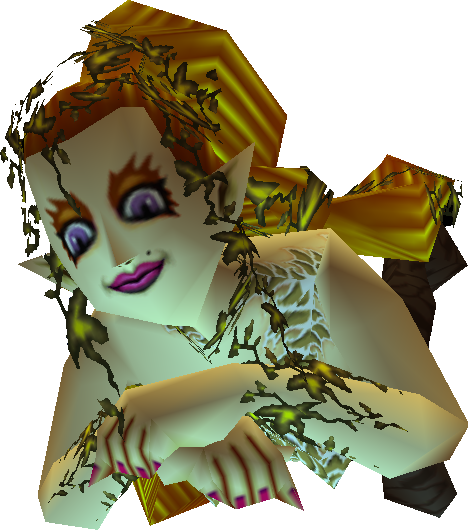 *GASP* Just please let it not be the fairy from Ocarina of Time-see why in the video below. It happened to be none of the above, though that might not shock you in the case of my last suggestion ( or even at all if you've read the post title). In reality the theme had actually been sampled by the title track of SWV's album, I Missed Us! For those who are not game fans, this will all be a non-incident, but for me, it just blew my mind and I had to post on it! It's not even the main theme of the gaming series that is used, so to hear it sampled is crazy! SWV are perhaps the last group in the world I would ever have thought would be featuring a retro gaming sample, but it totally works! Cute song, I liked it though. lol! I hope I don't start imagining that!! Stuey @Karen_vinter DOn't hate on the Great Fairy, She'll F@*k you up!! Omg. A fellow Zelda fan. When I saw your new article I was like Nooooo wayyyy. And then I listened to it and was like WHAAAAAAAT! All yalls needs ta get yalls head skrait cuh the great fairy will wack you with her vines! Lol it wouldn't be the first time I have been in love with a fairy...on a serious note though I was never into Zelda, nor Nintendo for that matter, I was always a Sega/Sony kinda guy. As for the song though I think its an interesting combo, and I quite like it! I respect the fairy :p I used to laugh a lot while playing Zelda, good fairy times. Ahhh Resident Evil, one of my fav all time franchises! Love the games and the films. Fav game gotta be Code:Veronica! That was awesome! My Fav is Code:Veronica too, can't stop loving Claire! \o/ I also gotta say that i love the films too, they are cool as well. I did not realize how many of us also love Classic games as well. Wierrrrrrd. I agree, Claire is probably my fav 'Diva' in the Resi series!! The next chapters in film and gaming this year have me all giddy with excitement! OH MY GAWD. Final Fantasy is my addiction. I've played all of them. My favorites would have to be 6, 9, and 10! I remember see that a while back. Very talented. I remember my friend being mega into orcarina of time....I just didnt really feel it! Maybe the next installment will snag my interest! Although the last game did look rather tasty! "Ocarina of time" is rated as one of the best games ever!! Though, i much preferred Majora's Mask. It was the most depressing game I think i've ever played. Was really dark, and creepy. The whole thing was played on a two day countdown with the constant threat of the moon - which looked like this http://i2.kym-cdn.com/entries/icons/original/000/009/820/moon-stares-at-link-in-the-legend-of-zelda-majoras-mask_288x288.jpg -crashing into the Earth. Really odd, but brilliant game. I have heard of that one too, and that moon is probably gonna give me nightmares tonight lol thanks! I wonder as the wii is starting to wane what Nintendo will do next? I always thought Zelda was quite interactive and diverse, they could really play about with it. Love it. They put the BLACK in that little tune.. I have read so many posts concerning the blogger lovers however this paragraph is genuinely a pleasant article, keep it up. There are so many choices out there that I'm totally confused .. Any tips? Bless you! There's definately a lot to learn about this issue. I love all the points you made. It's awesome to visit this website and reading the views of all friends about this paragraph, while I am also eager of getting knowledge. read this submit and if I could I want to suggest you some interesting issues or advice. I am no longer certain where you're getting your information, but great topic. I needs to spend a while studying much more or figuring out more. Thanks for magnificent information I used to be on the lookout for this info for my mission. What's up, yeah this post is really nice and I have learned lot of things from it on the topic of blogging. thanks. way in which you say it. You're making it enjoyable and you continue to take care of to keep it smart. I can not wait to learn far more from you. That is actually a terrific site. I'm no longer certain the place you are getting your info, but good topic. I needs to spend a while studying more or working out more. Thank you for great info I was in search of this info for my mission. other. If you're interested feel free to send me an email. I look forward to hearing from you! Awesome blog by the way! stuff from. Thanks for posting when you've got the opportunity, Guess I'll just book mark this site. to thank you for ones time for this particularly fantastic read! Theme" on Title track "I Missed Us"" < Liked it! your website got here up, it seems good. I've bookmarked it in my google bookmarks. Hello there, simply become alert to your weblog thru Google, and located that it is truly informative. I'm going to watch out for brussels.